First of all I want to thank everyone once again for leaving a comment on my blog. I love visiting blogs and it means a lot to me to read true all your lovely comments. That being said said, I wanted to share a paining I was recently working on. It’s part of two paintings that I am making and it symbolizes hope. 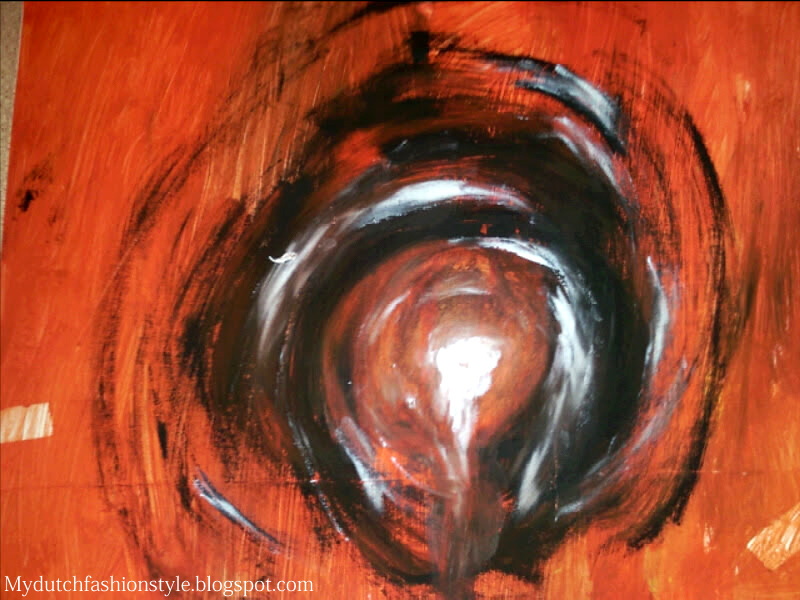 I don’t know if I am actually uploading more paintings, so let me know if you like more blogposts like this, or I should do more fashion posts. I hope you like it! Christian je hebt echt talent ! Super! De kleuren passen echt prachtig bij elkaar! Ik ben echt heel erg benieuwd naar je andere schilderijen. Helaas woon ik daar niet maar is het een huis in de buurt. Heel mooi schilderij, prachtige kleuren! Beautiful painting! I really like that song too. Such a great post, I like it!!! This is simply fab! Amazing painting! It's so surreal, I want to see the other painting! Well I love your painting, you;re very talented. Thanks for following me Christian. I'm now your 28th follower! wow! i love painting myself, and i love how you make it so "mutch" if you know what i mean? as in said in alice in wonderland. I love your "mutchness"! Haha, and defiently you should start posting more of youre cool paintings! 🙂 Great post! hi christian! i read your previous post and today i am curious to browse your blog again, find this amazing post! you are really good in painting! love it!!! if you dont mind, wanna follow each other? tell me if you've followed me and i'd be sure to follow you back. Love this post!! Painting is an amazing mode of self expression! Love your blog! Would love it if you could stop by my blog and tell me what you think of my latest post! Follow me, I follow you?! Wauw, wat een mooi schilderij! En tof dat je aan het AMFI studeert, welke opleiding doe je? Wat leuk! Dat lijkt me ook echt een super leuke opleiding! Thanks for visiting our blog and commenting! We are following you now and would love for you to come back and visit us "pale girls" and follow back. Have a great weekend! thank you for following me. it means the world for me. i am your new follower now. cant wait for your next post! Really beautiful painting! I like the color choice! You should definitely upload more of your artwork! Mijn blog bestaat ook uit meer dan fashion, laat zien wat je hebt toch! I think it's beautiful! Keep up the good work! following! maybe you wanna follow back? Wow! This video was incredible! Like it so much! you have a good blog, and it's always nice to read through it, so you should post about whatever you like! 🙂 as you say, about what moves you! Anyways, just thought I'd stop by and say hi too – glad I did, like your blog! !